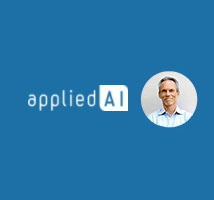 CarLabs co-founder and CEO Martin Schmitt sat down with Applied AI to discuss the future of customer service in the automotive industry, and why digital assistants like Kian are already major players in the race to provide potential customers with the best possible user experience. “As the use of digital assistants grows, brands will expect them to solve more complex business challenges. We believe that to accomplish more sophisticated and valuable tasks will require intimate industry knowledge. Read the full article at AppliedAI.com.